So… we’ve finally given in to repeated customer request and relaunched our own online UK shop – HERE IT IS. 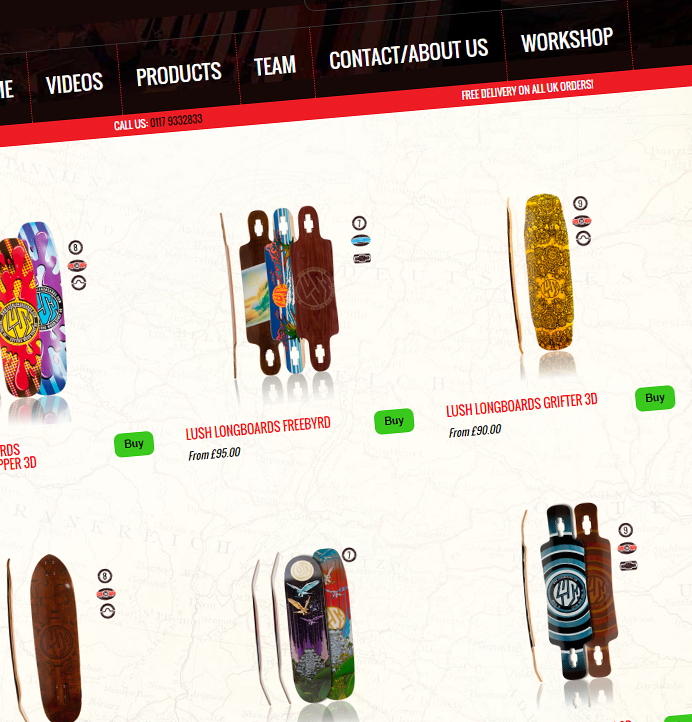 Our goal here is to provide a premium service for UK skaters who want to buy direct from us. Stocking all Lush products, as well as offerings from Cult Wheels and Sabre Longboard Trucks, we offer Free Next Day UK Delivery on all orders placed before 2pm! If you’re from outside the UK, you can buy from us or find your local stockist here. We are of course strongly encouraging you to buy from your local stockist wherever you can – find your nearest one here!